Baby, it’s cold outside. And you should be drinking your cranberry cocktail warm with plenty of seasonal spices and vodka. This is the perfect holiday drink and will warm you right up! Three degree weather shouldn’t even be a thing. Right?? I’m pretty sure I would have just stayed in bed when it was legit three degrees last week if it weren’t for the fact that I had multiple important meetings I kind of sort of had to be at. But my bed was sooo comfortable with my pup all cuddled up with me and the wind ridiculously loud outside. Thank goodness for a coffee maker that I can start from my bed or else who knows where I’d be right now. Most likely still under the covers. Does anyone else have a seriously tough time getting out of bed at this time of year? Raise your hand. It’s just not fun. Every morning, I have to make a list in my head of all the reasons getting out of bed is the right thing to do. It starts super positive with things like coffee and hot showers (those are legit the only positive reasons I can currently think of that justify getting out of bed in the freezing cold). Then I start having to bargain with myself, “If you get out of bed now, I promise you can get right back in bed when you get home tonight!” And then come the threats, “You will get fired if you don’t get out of bed.” My dog pleads with me to stay (she thinks it would be awesome if I got fired because then I could stay at home and play with her forever and ever). But every morning I end up making it out. While coffee keeps me relatively happy, I think a warm cocktail would be better motivation. If only that were socially acceptable! 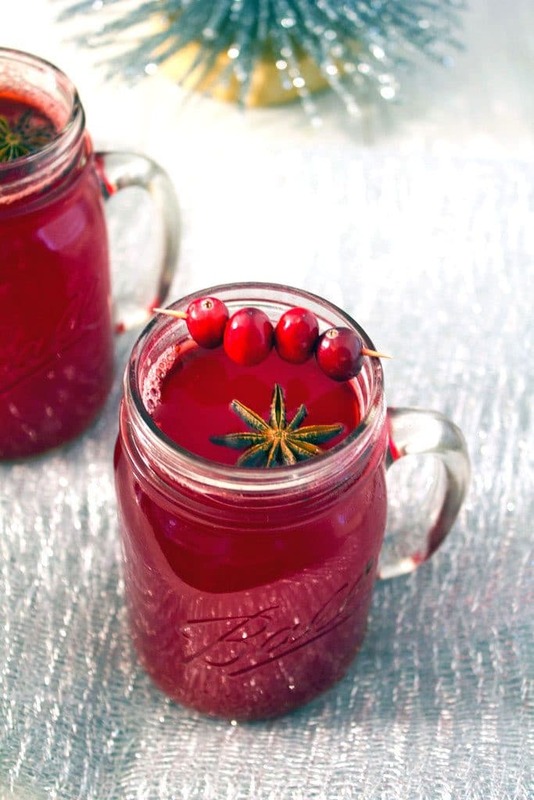 I was making homemade cranberry juice for a cocktail on Thanksgiving when I realized I really just wanted to drink cranberry juice warm. And I feel like people don’t do that very often. So, I made another batch of cranberry juice, but this time served it warm in cranberry cocktail form. Kind of like warm apple cider, but cranberry juice instead. And it was so comforting and lovely that I now want to enjoy a glass every day when I get home from work. And every morning when I wake up. I promise I’ve been resisting. 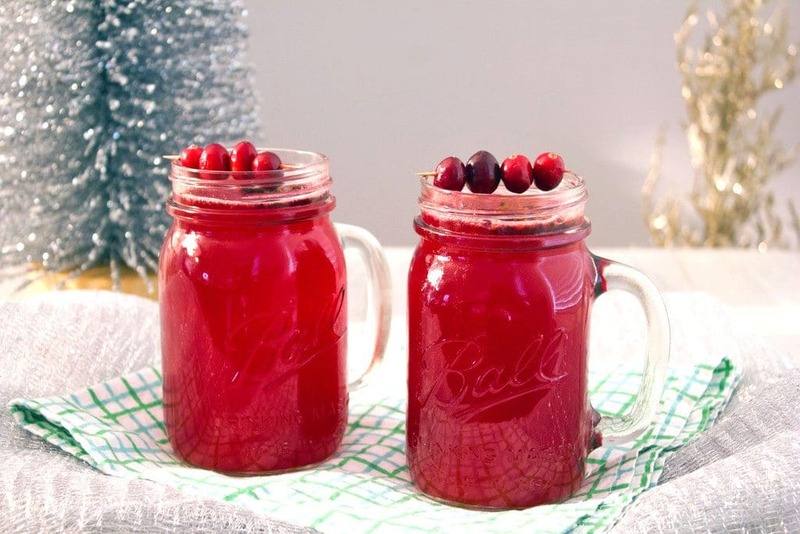 First you have to make the cranberry juice, but don’t worry because it’s super easy to make and just requires simmering cranberries, water, and some spices. I added in some sugar, a dash of lemon, and a bit of apple cider and kept the drink warming on the stove. Then I poured it into mason jars with a little cranberry and star anise garnish and enjoyed a mug in front of the fireplace and Christmas tree. Oh wait, I added in some vodka, too. Did I forget that part? Oops. Guys, I can’t even believe I’ve gone so long in life without enjoying warm cranberry cocktails. This is making me so happy. Of course, you don’t have to add the vodka if you’re not in the mood, but it is the holiday season and you look pretty stressed out, and come on, sit down and relax. Who needs to write Christmas cards or wrap presents anyway? The next few days are going to be crazy town. I’m so proud of myself for finishing my Christmas shopping in advance, but that doesn’t mean I bothered to wrap anything. We’re also having Christmas dinner at our house and while I did my grocery shopping already (go me! ), I haven’t even started any of the prep. But I also have a theory that warm alcoholic beverages can fight off illness, so perhaps this can be a substitute for sleep? I’m willing to take a gamble if it means all my presents will be wrapped and my house clean. P.S. Can we talk about how lovely star anise is? I couldn’t find it in my grocery store (only ground) and had to purchase a bottle on Amazon. Something tells me you’ll be seeing it around this here blog lots in the future. 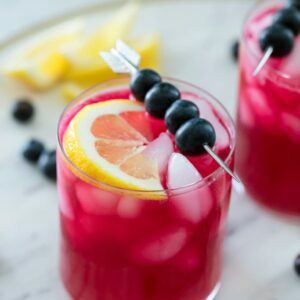 If you love the idea of a cranberry cocktail for the holidays, but don’t want a hot drink, check out my Cranberry Mojitos. 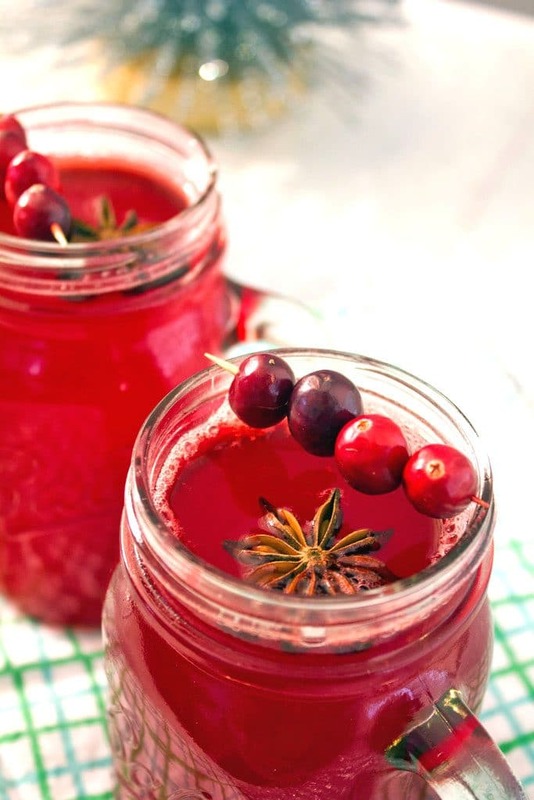 And if you’re hungry, make this Mojito Cranberry Sauce! Baby, it's cold outside. 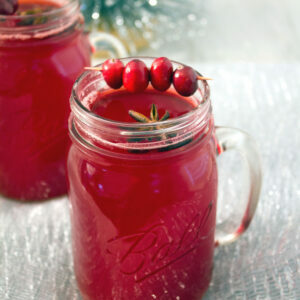 And you should be drinking your cranberry cocktail warm with plenty of seasonal spices and vodka. This is the perfect holiday drink and will warm you right up! 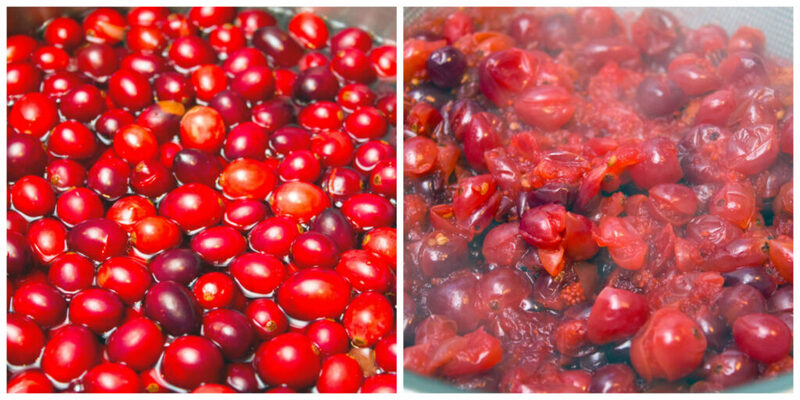 Put water and cranberries in a large saucepan and bring to a boil. 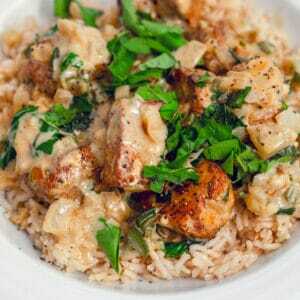 Lower to a simmer, add in spices, cover saucepan, and let cook for 20-25 minutes. Strain mixture through a fine mesh strainer to extract liquid. Place back in saucepan over low heat and add in sugar, cider, and lemon juice. Serve warm in glasses or mason jars. Stir in vodka before serving. 6 Responses to "Hot Spiced Cranberry Cocktail"
We had that chilly weather last weekend! 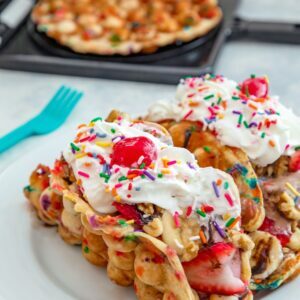 This looks like the perfect cocktail next time we get an arctic blast. Merry Christmas, Sues! 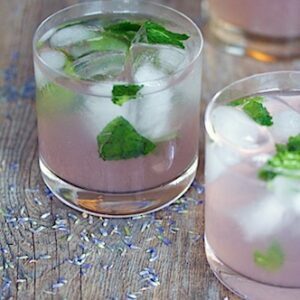 this cocktail is such a good idea – so pretty and festive. I have a hard time getting out of bed this time of year! and I’m one of those crazies who doesn’t mind the cold / snow. it’s just harder to get up in winter, period. Merry Christmas to you, too! I hope you had a wonderful holiday. 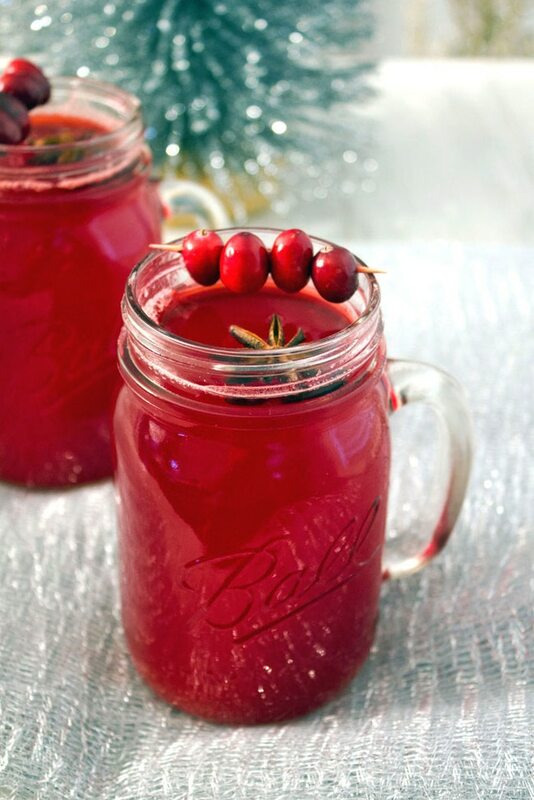 Your cranberry cocktail is absolutely gorgeous!